Book Synopsis: In 1942 Paris, gifted architect Lucien Bernard accepts a commission that will bring him a great deal of money – and maybe get him killed. But if he’s clever enough, he’ll avoid any trouble. All he has to do is design a secret hiding place for a wealthy Jewish man, a space so invisible that even the most determined German officer won’t find it. He sorely needs the money, and outwitting the Nazis who have occupied his beloved city is a challenge he can’t resist. I really enjoyed this book and read it fairly quickly as it was very engaging. I like the character development and the themes in the book. It did make me think about how one may have chosen to act if one were in WWII Paris. The writing wasn’t amazing though and the ending I felt was very abrupt. Overall though I’d still give it a solid 3.5/5 Rating. I loved this book. It’s captivating and a wee bit horrifying at the same time. It a multi-generational tale of women coming of age in Afghanistan. The first character is a young woman growing up in Post 9/11 Afghanistan Raised as a boy until 13 and then abruptly married to a warlord, Rahima’s story is gut-wrenching, illustrating the lack of choice and female oppression in other countries. The second, Shekuba is raised in early 20th century Afghanistan when women’s rights were improving/evolving. She is Rahima’s great grandmother. I have to admit, the jumping back and forth between characters left me a wee bit impatient and 3/4 of the way through the book, I cheated on Rahima and read all of Shekuba’s story and then went back for Rahima’s story. This book has stayed with me for weeks. I keep thinking about the plight of women in other countries in the world. It blows my mind how fortunate I am to be raised in Canada. It also stays with me because the strength of character of these women who refused to let their spirits be broken. I am sure I will re-read the story again to see what nuances I missed in my greed to get the book finished. I’m a binge reader and finished the entire book in 7 hours. 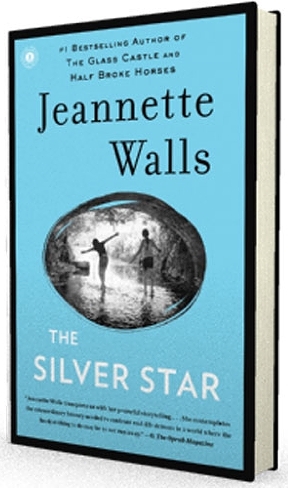 This Jeanette Wall’s third major book and runs very similar to her memoir “The Glass Castle” and “Half Broke Horses” the story of her grandmother. It’s a coming of age story of two sisters, Bean and Liz, more or less abandoned by their mentally ill mother and taken in by their uncle in the 1970’s.The story highlights Bean and Liz’s struggles adapting to life in the South. There are interesting themes of racial and social class discrimination, and the usual down on their luck tale that Wall is known for. I was disappointed by the ending which is abrupt and largely unbelievable in my eyes. If you like Jeanette’s other books you may like it, but I found it too predictable as it seems her style is lacking diversity. If you have read either of these stories, I’d love to hear what your reviews are and I’m looking for a great book for February!